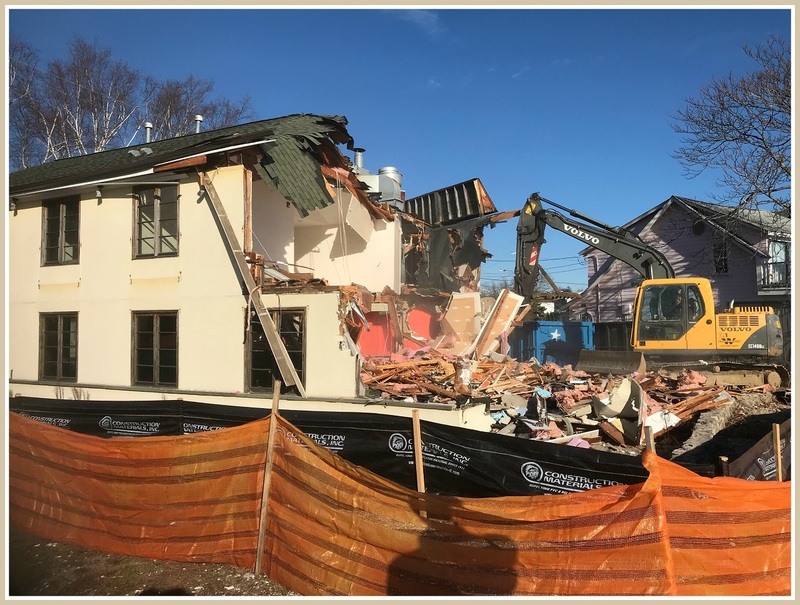 The old Positano’s — and before that, Cafe de la Plage, other restaurants and (way back in the day) grocery stores — was demolished today. Soon, a 4-bedroom home will take its place. Emma Morano died on Saturday, in Italy. The world’s oldest woman — and the last person on earth known to have lived in the 1800s — she was 117 years old. Here in Westport, a demolition permit has been issued for 233 Hillspoint Road. The notice affixed to the side of the building puts its age at 117 years. It too has a link to Italy: Most recently, it was the site of Positano. 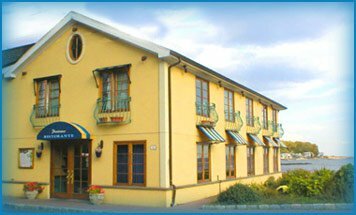 That restaurant closed at the end of 2014. 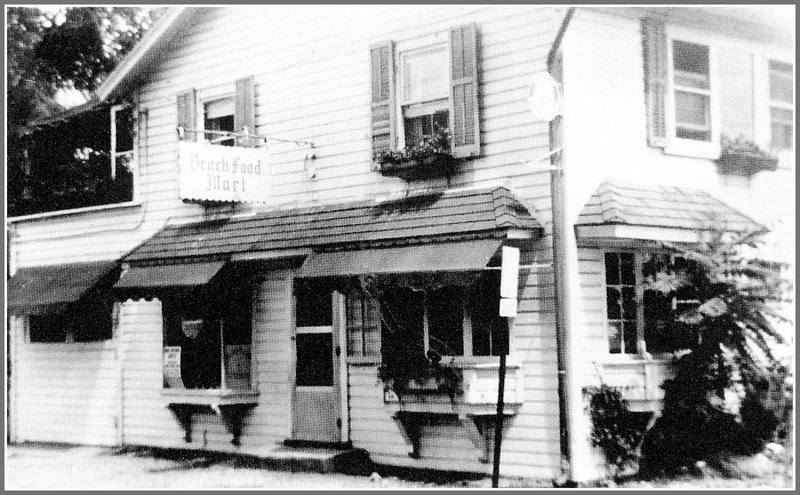 It reopened several months later at its present location, next to the Westport Country Playhouse. Positano was the last in a storied line of restaurants at 233 Hillspoint. Perhaps its most popular predecessor was Cafe de la Plage. “Beach House,” by Tony Marino. In its 117 years, #233 Hillspoint has seen a lot. The neighborhood has changed — many times. Old Mill Beach has thrived, eroded, and come back to life. From these photos, it’s likely the property started out as a private home. Once demolition as complete, that’s probably what it will become again. But this is 2017. Not 1899. Odds are good it will not look the same. 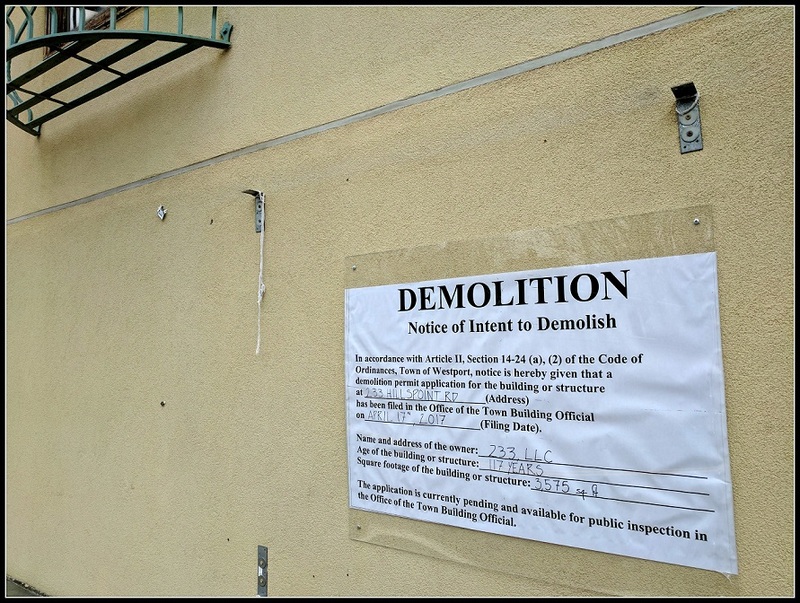 The on-again, off-again, on-again saga of a restaurant near Old Mill Beach is off again. 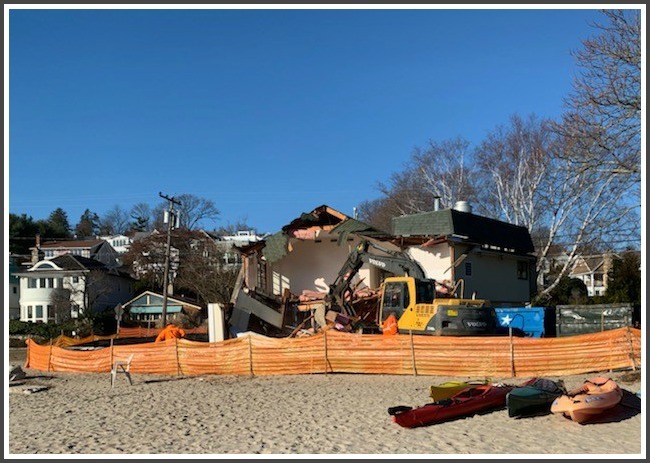 When Positano — the latest in a string of restaurants on Hillspoint Road — closed almost exactly 2 years ago, there was speculation the new owners wanted to tear it down, and build a big house right there on the sand. There was also talk that some neighbors — fearing the loss of their shoreline view, and enjoying the funkiness of a restaurant in the midst of a residential area — were doing what they could to make sure a new restaurant took Positano’s place. The “Positano property,” at Old Mill Beach diagonally across from Elvira’s. That was somewhat ironic. When Positano applied for patio dining in 2012, neighborhood opposition scuttled the plan. Lack of outdoor seating was one factor leading to Positano’s closing, and its subsequent move to a new location next to the Westport Country Playhouse. Though a number of residents worked for months to get another restaurant on the site, one neighbor continued to object. She sued. In other words, any chances for a new restaurant — grandfathered in as a pre-existing condition — has been killed. Now, and in perpetuity. 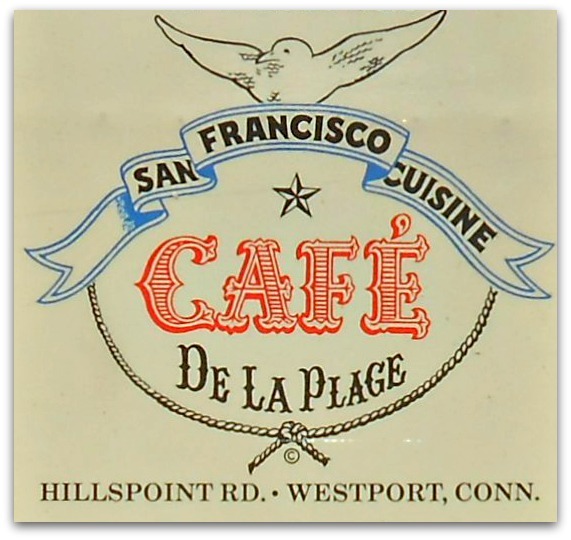 Before it was Positano, 233 Hillspoint Road was several other restaurants (including, most notably, Cafe de la Plage). But before THAT it was a grocery store. Among its names: Beach Food Mart (above), and Joe’s. 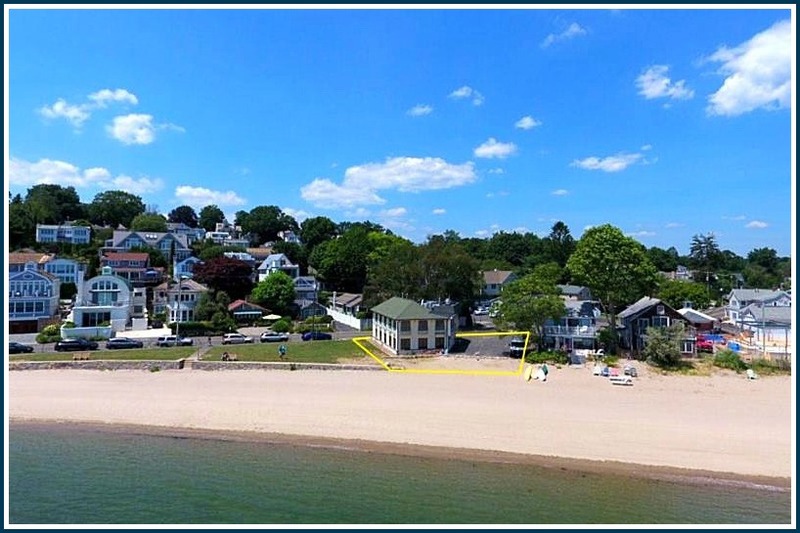 Buyers can enjoy “the most beautiful expansive water views, spectacular sunrises and sunsets” (those sunsets might be tough, since the listing notes it is an “east facing property”, and Compo Hill is a substantial obstruction to the west). 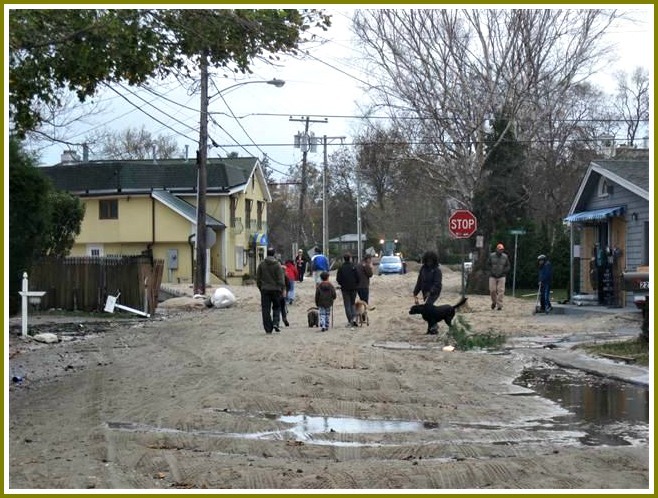 This photo from the real estate listing shows the current footprint of the former restaurant (center). The yellow line shows the property boundaries. Click on or hover over to enlarge. Seize this opportunity to create your own magnificent custom home for the first time ever on this site. Elvira’s — diagonally across Hillspoint from #233 — continues to be on the market too. There’s been no sale yet, but word on the soon-to-drastically-change street is that it may not remain a grocery store/ community center. All of which is food for thought. A good place to think about it is at the Sherwood Mill Pond Preserve. 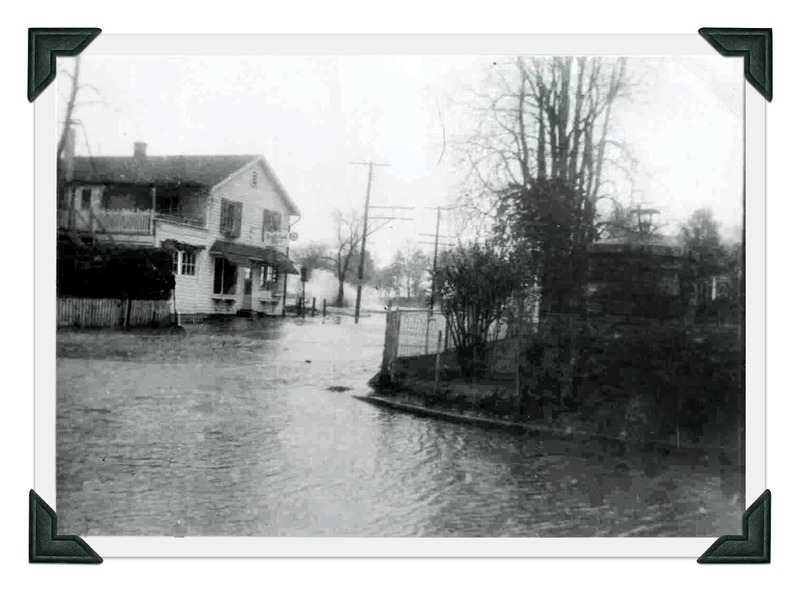 You know — where for nearly a century, Allen’s Clam House used to be. 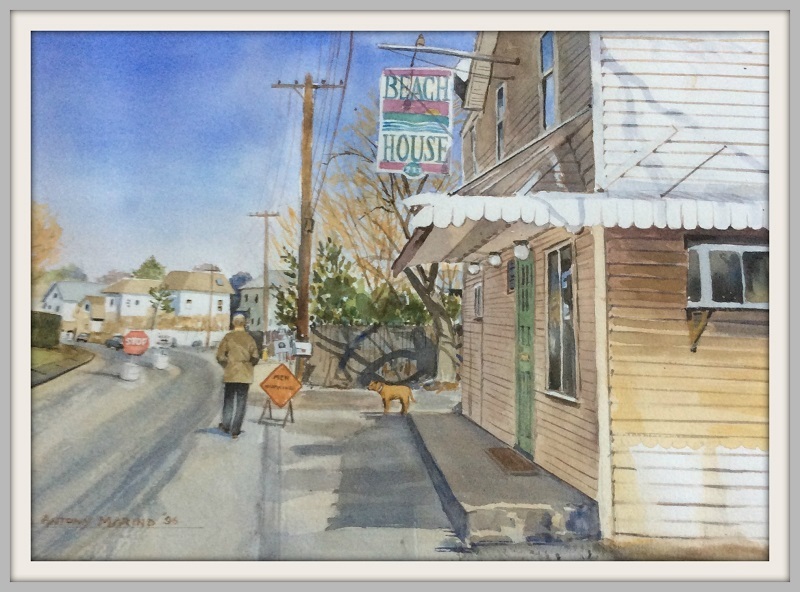 Friday’s “06880” post on the benefits and drawbacks of a restaurant in the residential Old Mill neighborhood noted that 4 years ago, area residents opposed Positano’s owners plan to add 4 tables of outdoor dining at the site. Several commenters pointed out that before Positano, Cafe de la Plage enjoyed a long and storied run as a beachside dining spot. Sally Kellogg Deegan remembered a restaurant called Leo Williams in the 1940s. She’s exactly right. But there’s a lot more to the tale than that. And it involves the same issue that Positano faced decades later: neighbors. 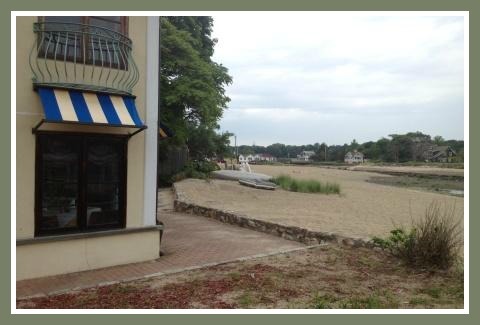 Leo Williams’ restaurant, a landmark at Old Mill Beach since 1945, will change owners on or about October 1 as the result of a zoning feud between the proprietor and the town. 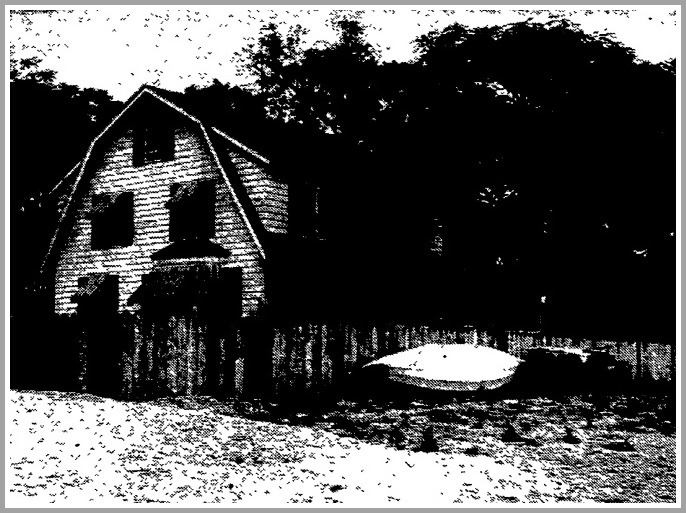 Ired by what he termed the ‘petty complaints of jealous neighbors,’ Williams and his partner, Fred Wittenberger, moved to Essex, where they purchased a colonial mansion. 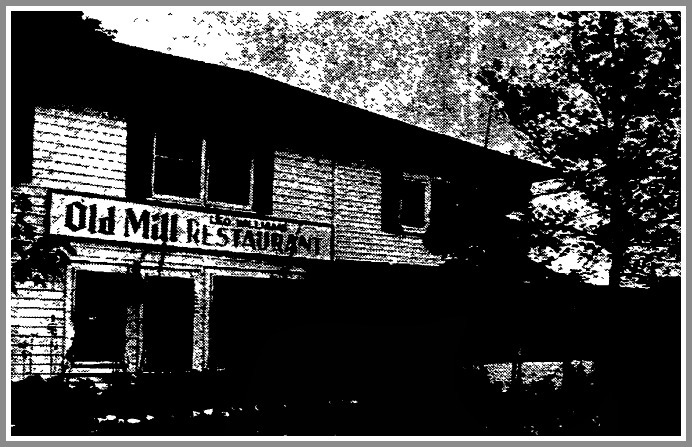 In 1945, Williams had taken over the Old Mill restaurant. Officials granted permission to build a screened-in porch, on land that partly encroached on town property. In 1954, he added a wooden fence in front of his adjacent Hillspoint Road home. Neighbors complained it was on Old Mill Beach property. Williams said the land was his. After a survey, Westport’s selectmen ordered the fence removed. Williams refused. The case went to the Court of Common Pleas. Williams then placed large boulders in front of his fence. He said he needed protection against tidal storms. The selectmen had the rocks removed, and billed Williams. After Williams announced he was moving to Essex, neighbors told him to remove the porch. They said it belonged to him, not the restaurant. Williams countered that without the porch, no one would sublet the restaurant. 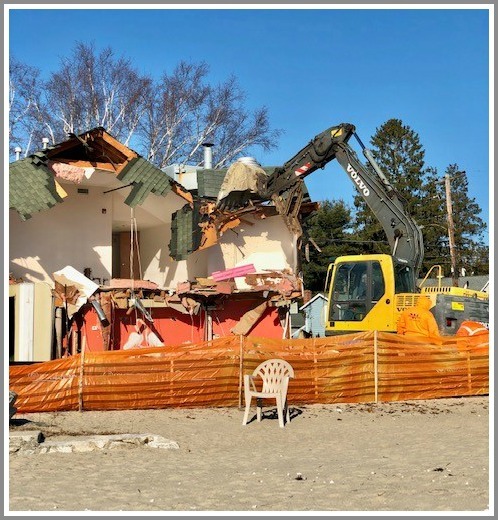 As beach weather nears — and we head into our 2nd summer without an Old Mill Beach restaurant — many Westporters wonder what’s up with the old Positano property. It was purchased in 2014 by Gibby Cohen and his family. They live nearby — on land where they could build a 15,000-square foot house — but they did not need or want one that big. The Cohens figured 3,000 square feet would be fine. The Positano plot — diagonally across from Elvira’s; for many years the site of Cafe de la Plage, briefly the Beach House, and long before all that Joe’s Store — was perfect. The Cohens soon realized, however, that many neighborhood residents — on Hillspoint, Compo Hill and surrounding streets — wanted a restaurant there. It brought life to the area. And the existing building provided scenic views, which a new structure might block. The Cohens were happy to acquiesce. They’re not interested in running a restaurant themselves. But they’re quite open to selling (or, worst case, leasing) their property to a restaurateur. At least one neighbor objects. Ellen Van Dorsten — who opposed Positano’s application for patio dining in 2012, and helped lead opposition to saving Allen’s Clam House before that — is suing the Cohens. She hopes to prevent a new restaurant on the Positano lot. The suit will be heard in November. The controversial terrace at the old Positano. Van Dorsten was not the only resident opposed to the 2012 patio petition, for 4 tables seating 16 diners. Other neighbors also protested. The restaurant owners cite the lack of outdoor seating as one factor that forced them to relocate. Their new restaurant is next to Westport Country Playhouse. Now, however, neighborhood sentiment seems to be coalescing around a restaurant — rather than a new-construction home — on the property. This seems like an ideal opportunity for a well-known, highly respected restaurateur to open a new, seafood-oriented place, in a building with a historic past and neighborhood support. Joey’s by the Shore Clam House, anyone? NOTE: Gibby Cohen declined to comment on the ongoing litigation. Requests for comment from Ellen Van Dorsten — by phone and email — were not returned. Long before Cafe de la Plage and Positano’s, the property was the site of Joe’s Store. This was the scene in 1954, during Hurricane Carol. As someone’s Italian/Scottish grandmother might say, Positano’s is in a bit of a kerfuffle. On Thursday the restaurant asked the Planning and Zoning Commission for permission to put tables on its outdoor patio. The terrace — sitting serenely on the Sound — has been there since 2000. The restaurant — catty-corner from Elvira’s, in the Old Mill section of town — has been there far longer. Old-timers remember it as Cafe de la Plage. The patio is illegal. The owners never sought town approval. Outdoor dining is prohibited in residential areas. And, oh yeah: Part of it was built on town land. Well, sand. Anyway: We own the beach. The terrace at Positano’s juts into town-owned land. Dozens of nearby residents oppose the request to place 4 tables on the patio, adding 10 seats to the restaurant for a total of 62. They cite “noise, commotion and congestion,” according to the Westport News, along with inadequate and illegal parking. Yet at least one resident — 89-year-old Allen Raymond — thinks the proposal is fine. A view of Positano’s from Hillspoint Road. Neighbors might respond it’s a kick in the teeth. The P&Z did not vote on the application — officially, a lease of town property to the restaurant to allow use of the patio — and public comments are officially closed. But that doesn’t mean “06880” readers can’t weigh in. Click on your preference in the poll below. Mangia — or not?